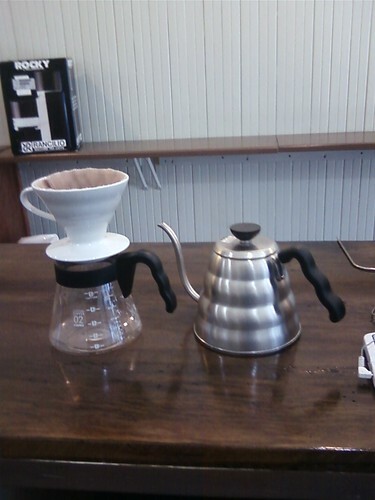 The Hario Kettle works best, originally uploaded by TheClothMan. We will start sending out general method guides and care guides with items like the ceramic v60 and cloth filters. We will slowly be adding these to orders. Keep an eye out for notes on the shopping section about availability.